This year I didn’t seem to decorate the house for Halloween quite as much as usual, and I had some little plastic spiders, bugs, bones and other doo-dads left in the Halloween bin. Every year I move things around and I just didn’t find a good place for these guys yet. I realized today on Halloween that they were still looking for a home to be spooky. 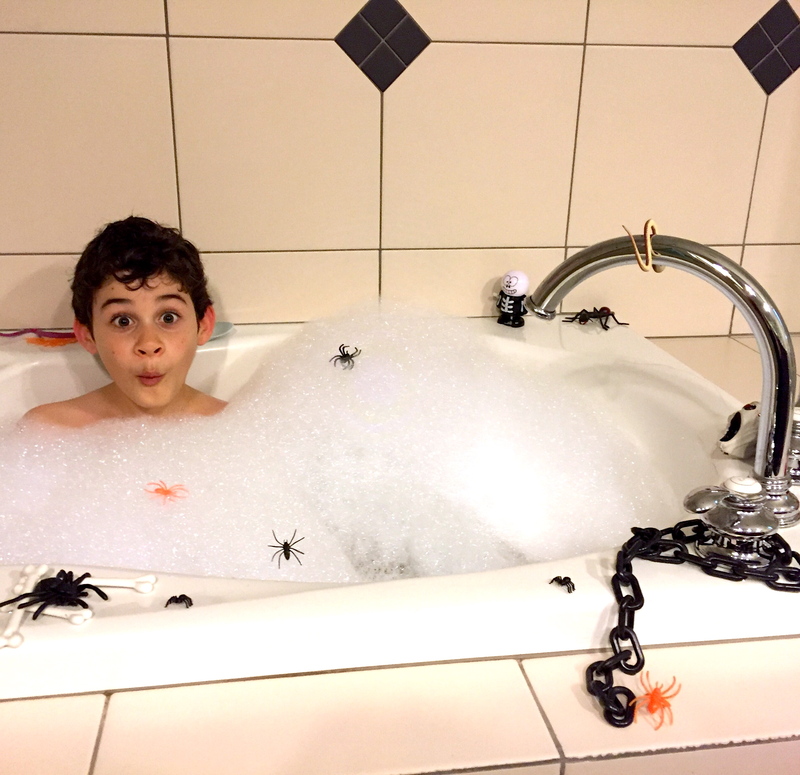 So after my son’s muddy soccer game today, he needed a bath right away before we even thought about getting dressed for trick-or-treating tonight. I grabbed the bag of tiny creepy-crawlies and ran upstairs to the get the bath started while he took off his cleats and shinpads. I poured some bubbles into the running bath and dumped out the bag. Once the bath was almost full, I tossed in some spiders and bugs and a few snakes for the bottom of the bath. 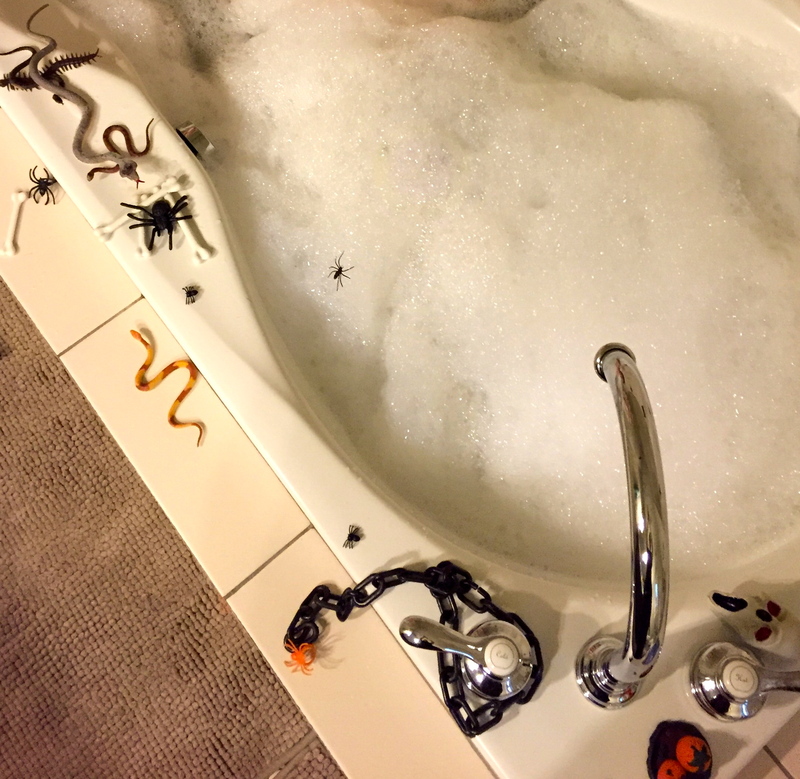 Then I placed some other bits and pieces around the tub, and gingerly added a few of the lighter plastic spiders and bugs on top of the bubbles. I called him in for his bath and he loved it. His favourite part was finding the ones that had sunk to the bottom. I think we have another new Halloween tradition! Make sure you find things for your witches’ brew bath that are washable, and big enough not to be swallowed by your wee ones or your drain. 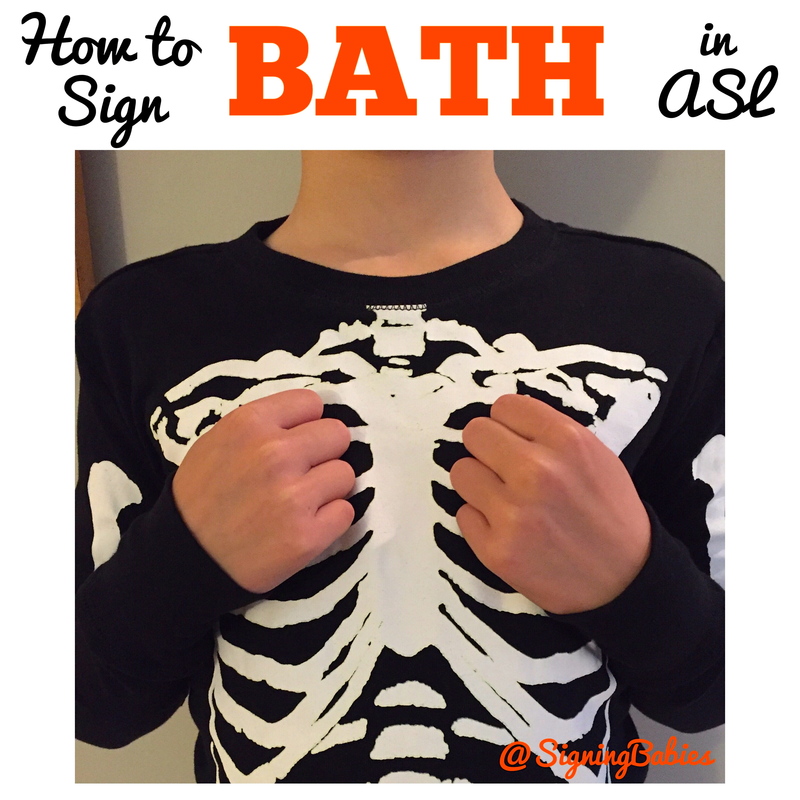 To sign BATH in American Sign Language, rub both fists up and down on the chest, like you’re soaping yourself up in the bath. 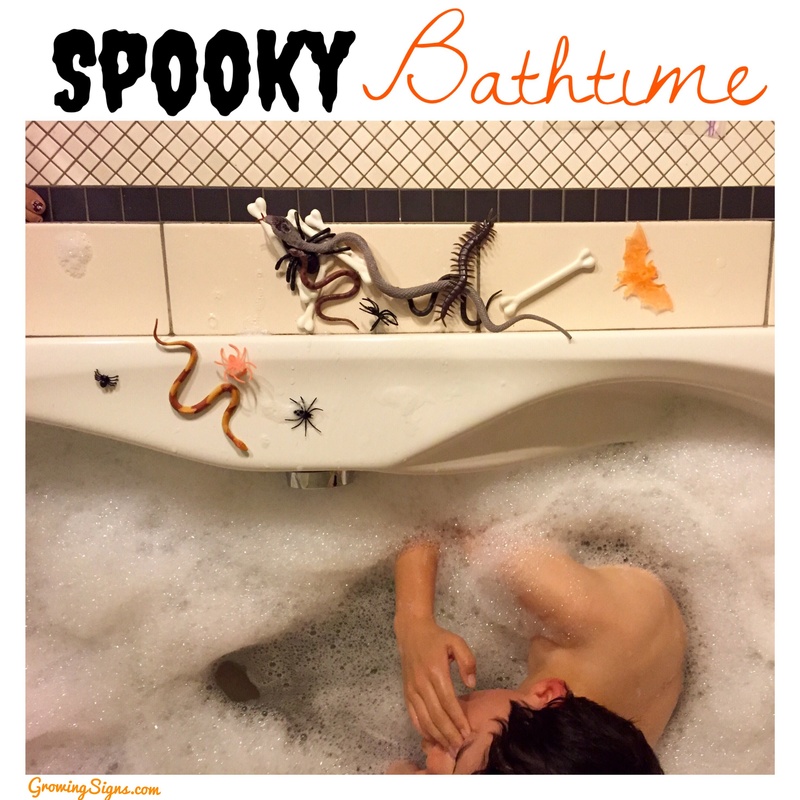 Do you have spooky Halloween traditions?